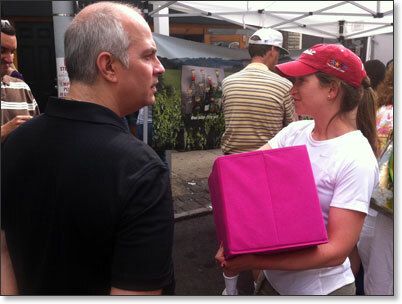 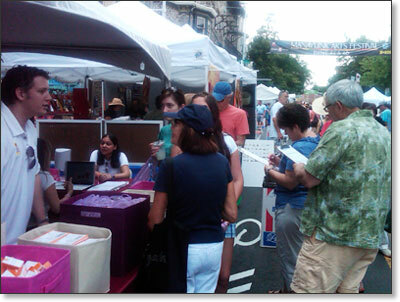 Photos from the June 25-26 event. 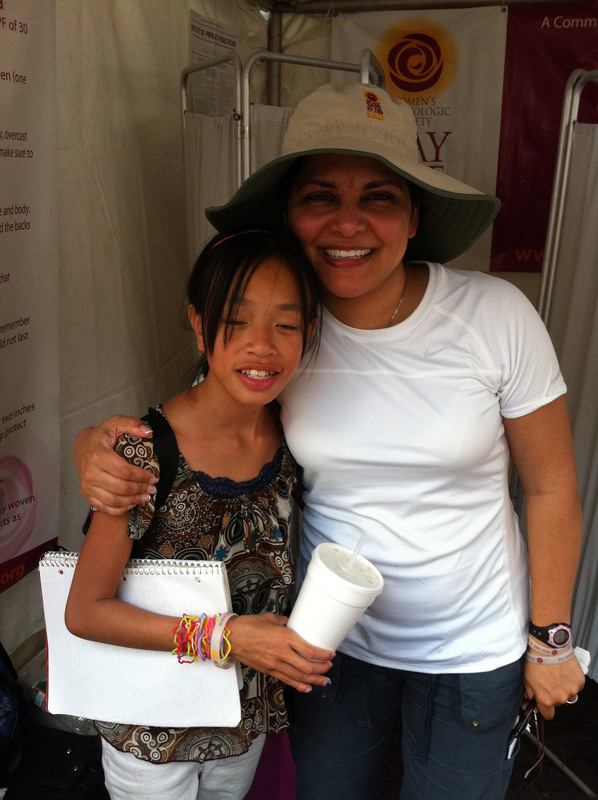 Aradhna Saxena, MD, local chair of this event, is shown with a very enthusiastic young volunteer, Kessie Luscher, whose mom, Teri McGillis, MD, conducted many skin cancer screenings for the outreach. 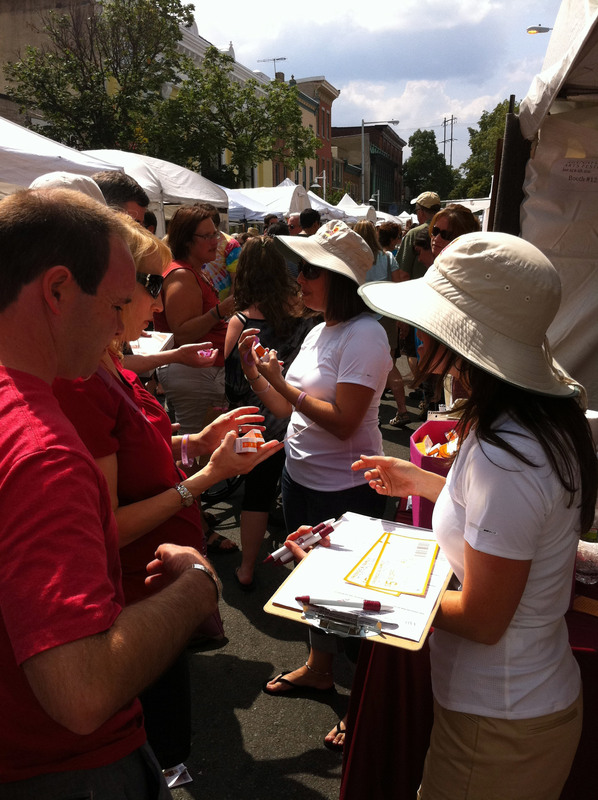 Throughout the busy weekend, the fantastic WDS volunteer team reached out to so many event visitors. 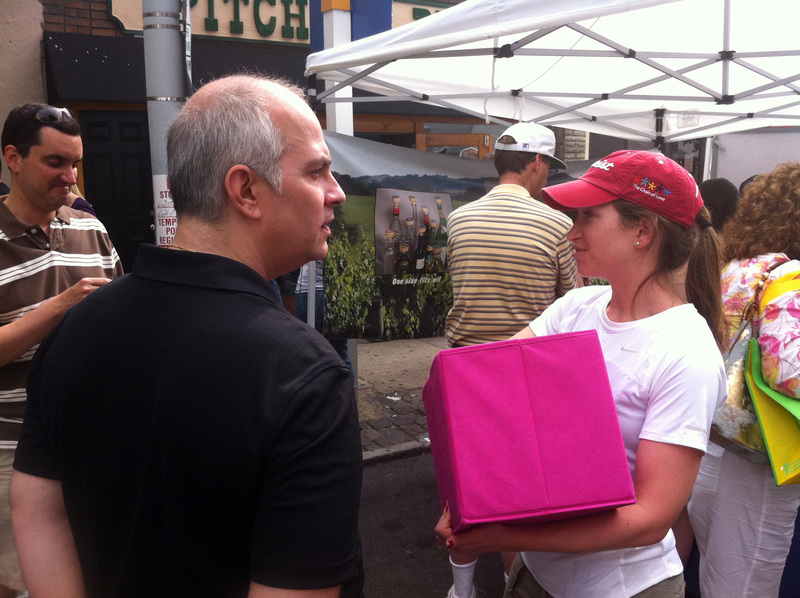 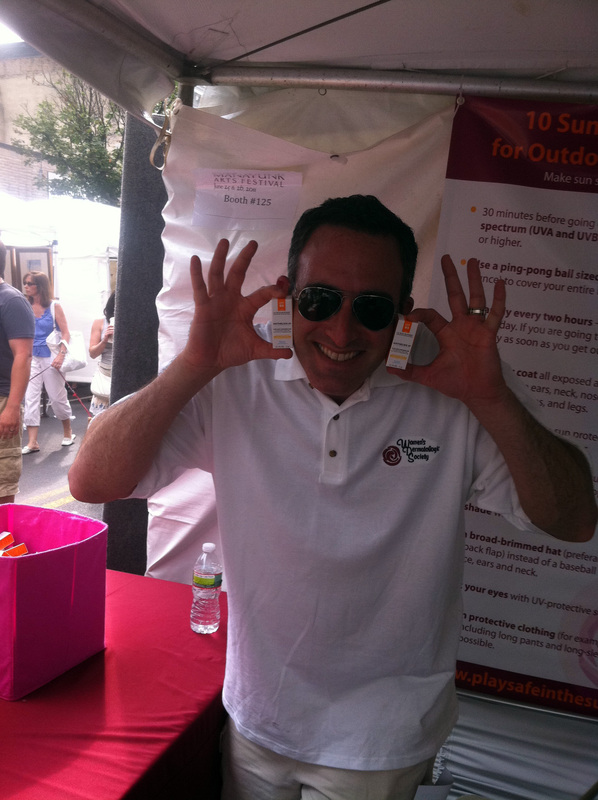 Thousands of people stopped by the Play Safe in the Sun outreach booth at the Manayunk Arts Festival for skin cancer screenings, sun damage assessments, free sunscreen and educational materials. 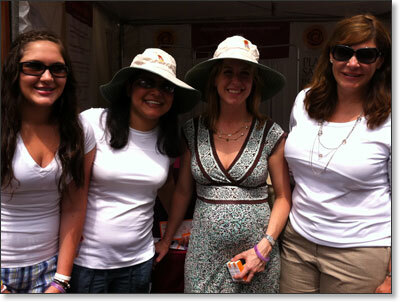 Enthusiastic Play Safe in the Sun volunteers shown, from left: Emma Vail, Aradhna Saxena, MD, Christine Burkholder, MD and Barbara Vail, MD. 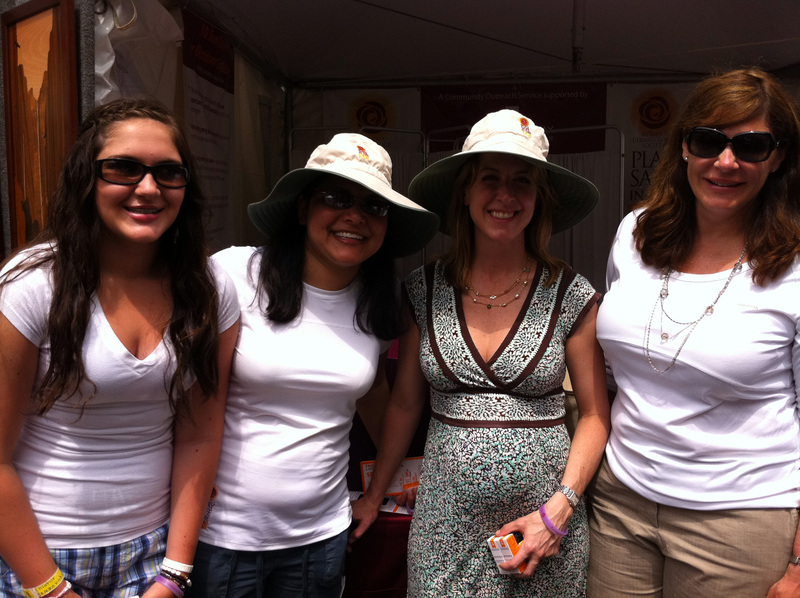 Three daughters of participating dermatologists volunteered! 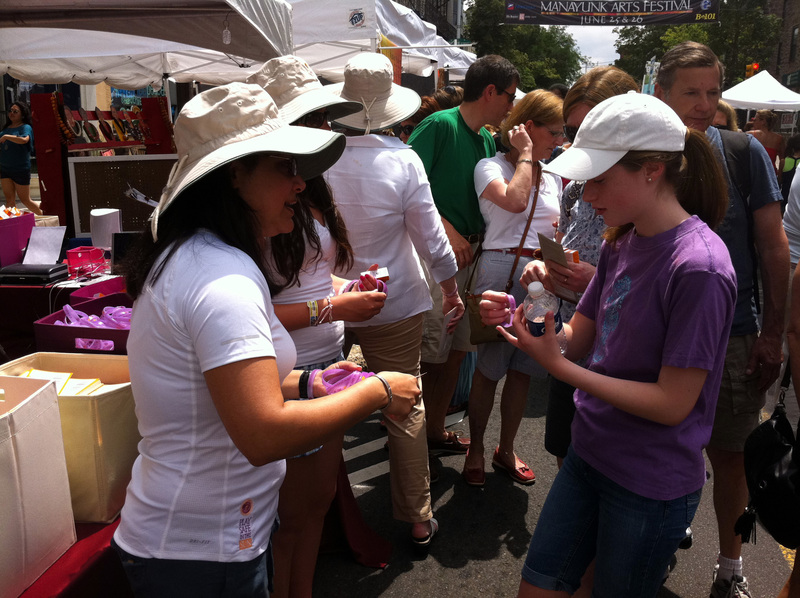 Volunteers provided 18,000 samples of free sunscreen furnished by La Roche-Posay at this bustling event, where sunny skies and high temperatures prevailed throughout the weekend. 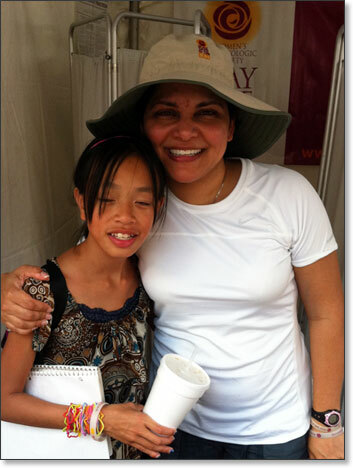 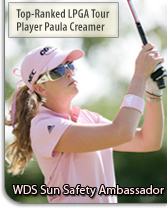 Visitors were very grateful for the sun protection and skin cancer screenings provided by WDS. 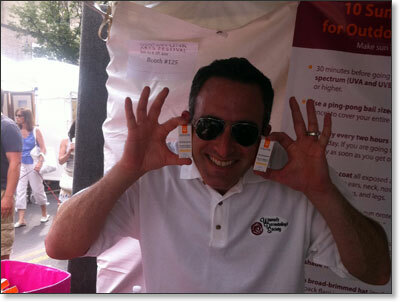 Jeff Weiner, rep from Medicis, eagerly spread the message of sun safety! 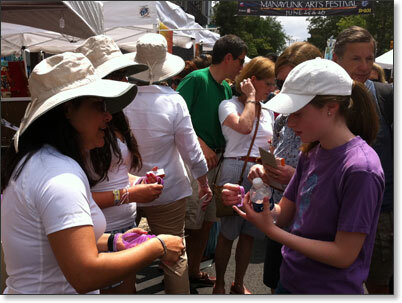 La Roche-Posay rep Alyson Rosenfeld distributed thousands of educational materials and free samples of broad-spectrum sunscreen to the crowds. 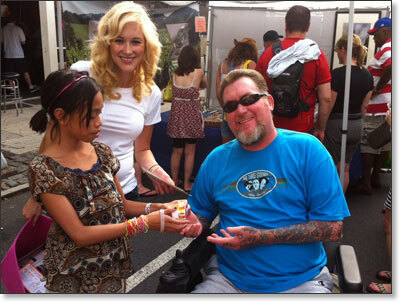 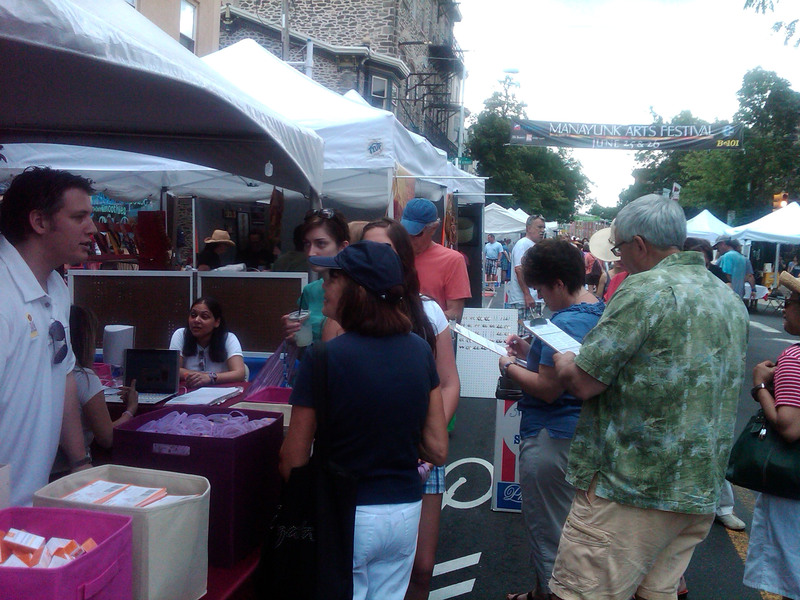 The UV color-changing bracelets were a huge hit at the Manayunk Arts Festival. 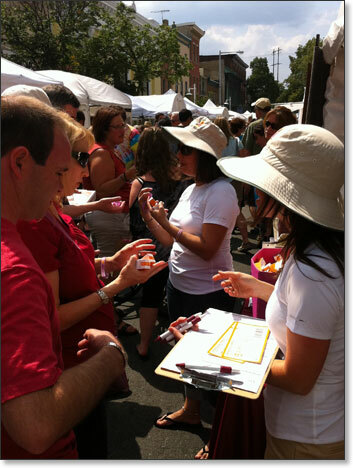 Volunteers gave away 4,800 of these ever-popular bracelets, which serve as an excellent reminder to wear sunscreen even on cloudy days, and to re-apply regularly.